MOSCOW, July 19./TASS/. The US and the West may generally use Tbilisi for tightening anti-Russian sanctions, but this will have nothing to do with concern for Georgia, Russian Foreign Ministry Spokeswoman Maria Zakharova said in an interview with Georgian Rustavi-2 television. "There are powerful political forces in the West seeking that anti-Russian sanctions stay in place and be tightened," Zakharova said. "However, their motives have nothing to do with care for Georgia. Only naive people can think otherwise," she said. "If Georgia starts being mentioned as a motive for sanctions, it will be a good reason for the Georgian people to think - can it be so that their country is used in somebody else’s geopolitical game? Actually, it is hard to escape this conclusion," the diplomat said. 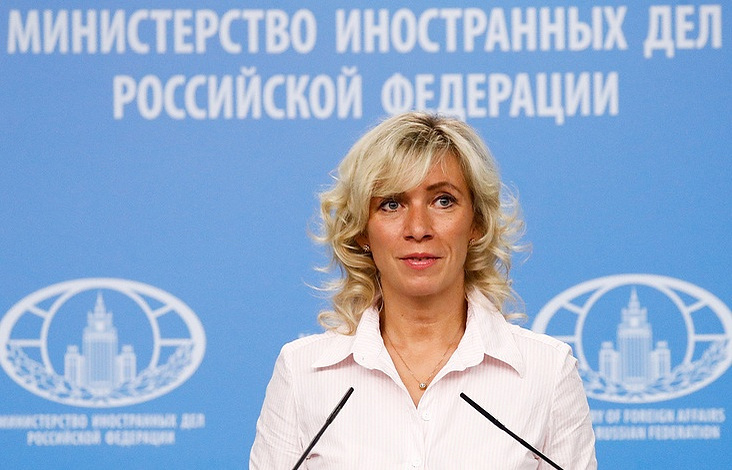 According to Zakharova, Georgia has already practically turned into an element of the Western strategy of deterring Russia in the Black Sea region and in the South Caucasus. She reiterated that recently, one of the State Department official publicly stated that the US would be arming Georgia to counter Russia. "Georgian politicians should remember that serving foreign geopolitical interests instead of national ones is a thankless and honorless task," the diplomat said. The interview was on Thursday posted on the website of the Russian Foreign Ministry.